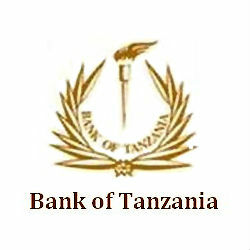 Tanzania’s new Natural Gas Policy has designated the Bank of Tanzania (BoT) to manage revenues from natural gas on behalf of the government. The BoT is one of several institutions responsible for developing the Natural Gas Policy, and it predicted that gas revenues may fuel inflation without the right conditions in place. According to the policy, the BoT natural gas fund has been established to, “ensure transparency and accountability over collection, allocation, expenditure and management of all natural gas revenues,” and fiscal management guidelines will be developed in accordance with national development programs such as the Five Year Development Plan and National Strategy for Growth and Reduction of Poverty. The BoT’s responsibilities will be to ensure that natural gas activities do not cause negative impact on monetary policy and macro-economic stability; to provide advice to the government on the impact of the natural gas sub-sector, as it evolves on the national economy; and to manage and administer the Natural Gas Revenue Fund. The overall Natural Gas Policy is a comprehensive framework for guiding the development of Tanzania’s gas industry to steer benefits towards the nation and its citizens. Click here for the full Tanzania Natural Gas Policy.